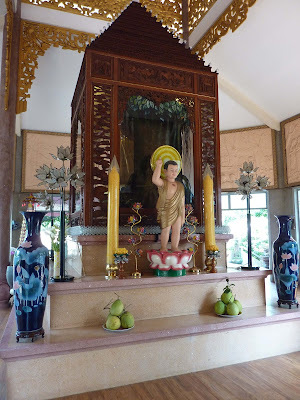 Tinh Xa Trung Tam has a special place in my heart because it is the first temple in Vietnam that I ever had any real connection with. 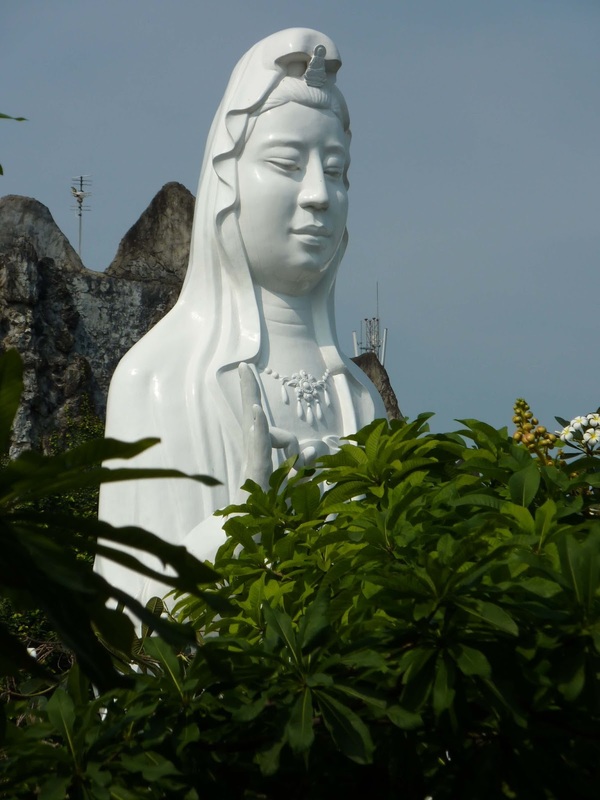 In the mid-90s I was a student of a monk in Australia who was a part of the order, and so I visited Vietnam with the special intention of studying more here and learning about this distinctive form of Vietnamese Buddhism. 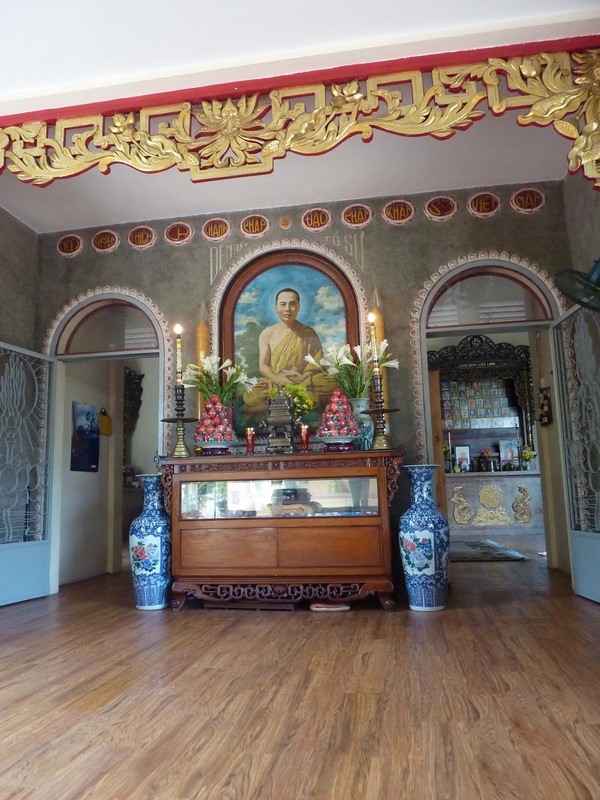 Tinh Xa Trung Tam is one of the centres of worship for the Tang Gia Khat Si, an indigenous Buddhist order founded by Master Minh Dang Quang. There is an excellent Wikipedia entry for this temple which explains its history and a little about the Order and its founder (I would actually love to hear from whoever wrote it) which you should read. I have spent many days in this temple and its surrounds, though these days when I go back to Vietnam I probably only visit once or twice to say a prayer and soak in some of the memories of my youth. 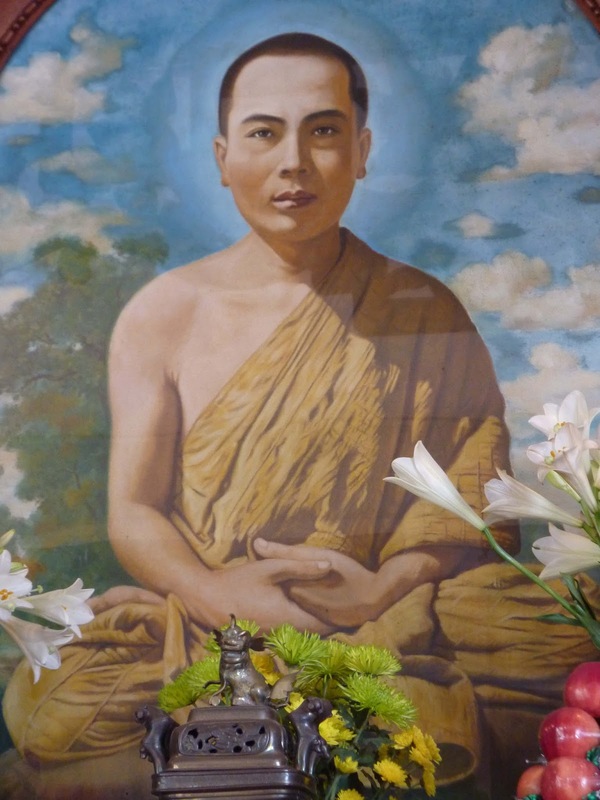 I am still quite fascinated by the Order's founder, a Mekong Delta monk called Minh Dang Quang who attempted to unify the Theravada and Mahayana schools of Buddhism and re-write the scriptures in colloquial Vietnamese. As at every Tinh Xa (the Vietnamese version of "Vihara" which is what the Tang Gia Khat Si temples are called, as opposed to the Mahayana temples which are called Chua in Vietnamese), there is a shrine to the Master, and this one also contains some of his relics. On a weekday afternoon there is rarely anyone inside the main shrine, and it is a great place to sit quietly and meditate, or to do a round or two of quiet recitation of the Buddha's name. Outside there is a famous, and enormous, statue of Kuan Yin, the Bodhisattva of Mercy (Quan The Am in Vietnamese). It is a very popular object of worship, and throughout the day people come into the monastery grounds to make their own prayers at its base. The temple was built in the 60s, and visiting recently with an architect I was informed that it was a classic piece of American-era architecture, especially in its liberal use of pebble-crete. The main hall is built in the octagonal shape of all Tinh Xas, symbolising the Noble Eightfold Path of the Buddha. Over the years the surrounding buildings have been demolished and rebuilt, and I fear that the same fate awaits the main hall, which would be a shame. Tinh Xa Trung Tam in Binh Thanh claims to be the main temple of the order, but it's worth mentioning that the order did break up into different sects in the 60s and there are a couple of other Tinh Xas around that claim to be Trung Tam (The Central). Just outside the main gates of the temple is a little bookshop, and a small gift stall next to it. The bookshop is run by the loveliest man, though sadly there are no books in English. If you have any Buddhist friends in Vietnam, though, or plan to make some, this is a great place to buy gifts. Publishing in Vietnam is vibrant, and books are beautifully designed and cheap. I always buy a bag-full and manage to distribute them easily. 7 Nguyễn Trung Trực Street, Bình Thạnh District, Ho Chi Minh City. 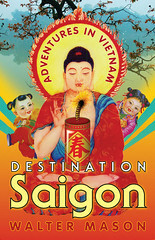 It is about a 25 minute taxi ride from downtown Saigon (outside of peak hours) and is well worth a visit. It is hidden down several lanes, so be prepared for your driver to stop and ask for directions along the way. In October/November this year I am once again leading a tour of Vietnam, from Hanoi all the way down to the Mekong Delta. This will be a fantastic journey, and I'd love to have you along.